Our range of products include lacquer coating. Brand Kalpana Polymers Pvt. 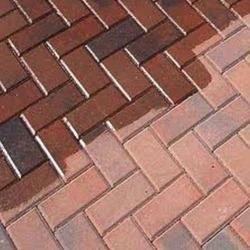 ltd.
Lacquer Coating for Paver Blocks, Wood, Metal & Plastic which dries by solvent evaporation in about 15 minutes. Gives very good gloss, uniform smooth finish. It is highly resistant to outdoor weathering and UV degradation and exhibits outstanding durability and adhesion. Thinner Compatibility with Toluene, Xylene, Ethyl Acetate, Butyl Acetate. It is most suitable for plastic coating surfaces such as ABS, Acrylics, HIPS and PVC. As a protective coat on automotive metallic base coat. It can be formulated in to paint for Aerosol spray applied coatings. It can also be formulated for household appliances, petrol resistant lacquers, Agricultural equipments and corrosion resistant finishes. Looking for Lacquer Coating ?